To clarify, I am interested in the counting of the author's (i.e. if the Mishneh Torah details two rules under one halacha that counts as one and not two). 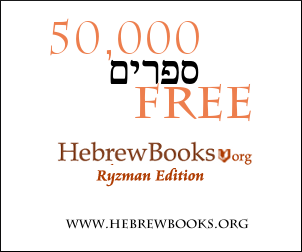 One simple way to calculate the number of halachot in Mishneh Torah is to use the URLs in the version on Hebrewbooks. Each halacha has a unique URL ending in a number, with the first halacha starting with the number 1. Each URL increases by one from the previous URL. Thus, the URL of the very last halacha in Mishneh Torah contains the total number of halachot. In this case we can see that it comes out to 15,024 halachot. As such, there is not necessarily one precise answer to how many halachot there are; the number might vary based on edition/manuscript. Indeed, the number presented here is different from the number presented in the other answer which used a different (probably more faithful to the original) source. Not the answer you're looking for? Browse other questions tagged number jewish-books rambam statistics mishneh-torah . How many sugyot are marked in the 1835 Vilna Printing of the Talmud Bavli? How many disputed and undisputed Torah Mitzvot are there? How many words are there in Tanach?